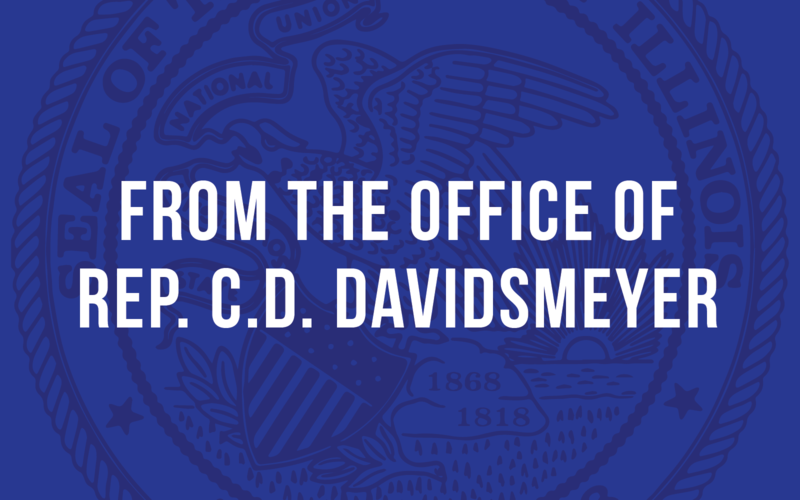 In this week’s video update, I discuss the Committee of the Whole, the state’s Human Services budget and legislation that I am working on in Springfield. Last week, the IL House of Representatives held a Committee of the Whole, which heard subject matter testimony on worker’s compensation laws. This testimony was one-sided and didn’t allow employers the opportunity to discuss worker compensation expenses. However, this wasn’t the only political gamesmanship that occurred last week. A sham budget for the Department of Human Services was brought to the House Floor for a vote only hours after it was introduced. This legislation was introduced at 10:30am and voting started at noon. Hardly enough time to analyze and study an appropriations package that impacts the most vulnerable. Lastly, I am working on two pieces of legislation that will affect the 100th District. My first piece of legislation will help the Illinois School for the Deaf and the Illinois School for the Visually Impaired operate more freely. My second piece of legislation for the 100th District will rename a portion of U.S. Route 67 after the Powell brothers who fought in World War II.